"Get Ready to Rock & Roll"
When Cleveland disc jockey Alan Freed coined the phrase “rock and roll,” he was laying the foundation for a cultural phenomenon and, incidentally, this museum. 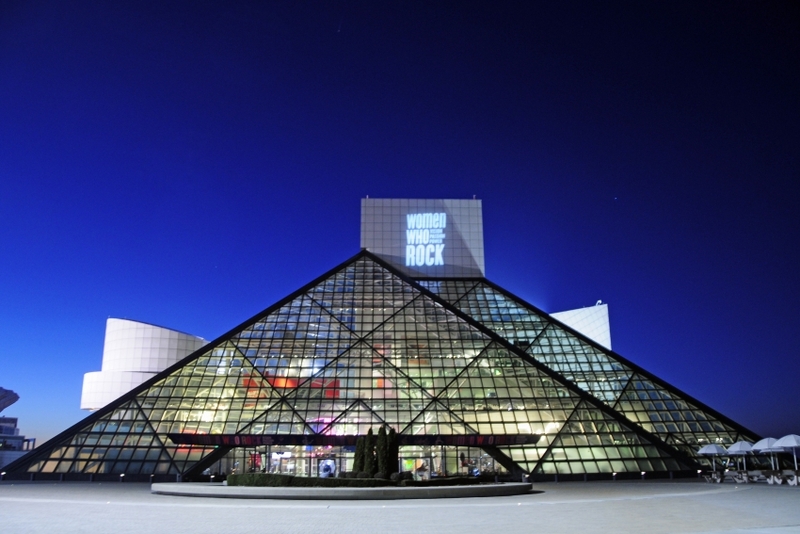 In 1986, three years after the creation of the Rock and Roll Hall of Fame Foundation, Cleveland became the home of the dramatic glass and steel pyramid called the Rock Hall, designed by the architect I. M. Pei. With an impressive multimedia permanent collection and continually changing temporary exhibitions, visitors can enjoy listening to songs, watching films, and looking at rock memorabilia ranging from a Cub Scout shirt worn by Jim Morrison to Madonna's bustier.